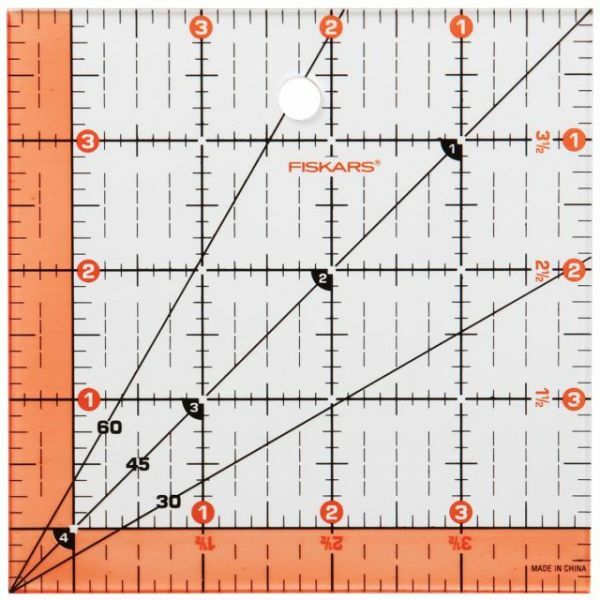 Fiskars Quilting Ruler - Fiskars-Quilting Ruler. Experience easy to read marks and includes a built-in seam allowance. Numbers are large, black with white outline for easy measuring on any color fabric. 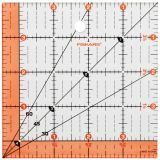 This package contains one 4-1/2x4-1/2 inch quilting ruler. Imported.